This red butterfly suncatcher can be hung in a window, from the rearview mirror or simply attached to an existing ceiling light or fan pull chain. 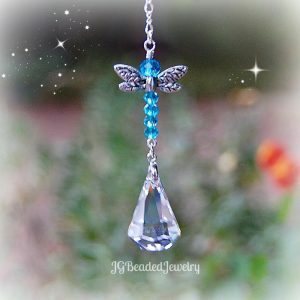 The suncatcher is uniquely designed with a 30mm clear prism crystal which is wire wrapped by hand with a silver metal butterfly, flawless red Swarovski crystals, silver faceted crystal beads and fancy silver metal beads. 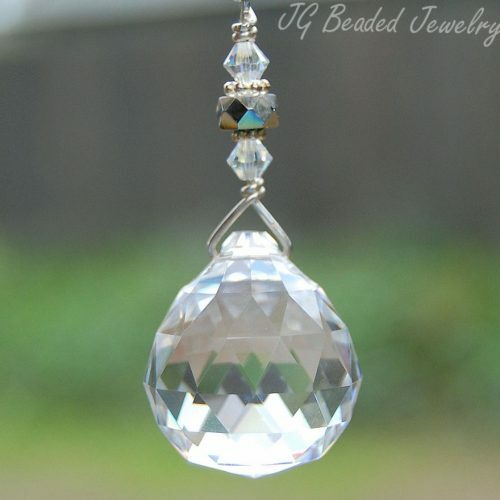 This hanging crystal is quality made with care and attention to detail for strength and longevity. 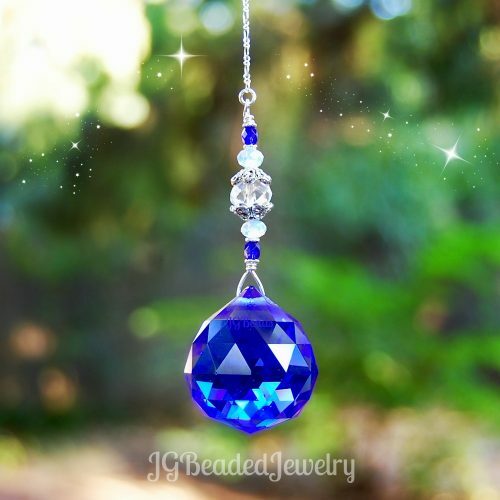 ♥ If you would like more than the quantity available, please contact us with your request!